Being pregnant and giving birth places a huge amount of stress on the body. In this Q&A professional female yoga personal trainer from Dubai Hema D’Souza provides some tips for women in the UAE who want to practice yoga to get their body back in shape and provide some peace for the mind. Overall, can you describe how yoga help with ‘post-natal’ fitness? The regular practice of post-natal yoga can be of benefit to new mothers in many ways. The body goes through many changes are delivery of baby. New mothers are often very busy taking care of their newborn that they often forget about their own personal care needs – this is completely natural. 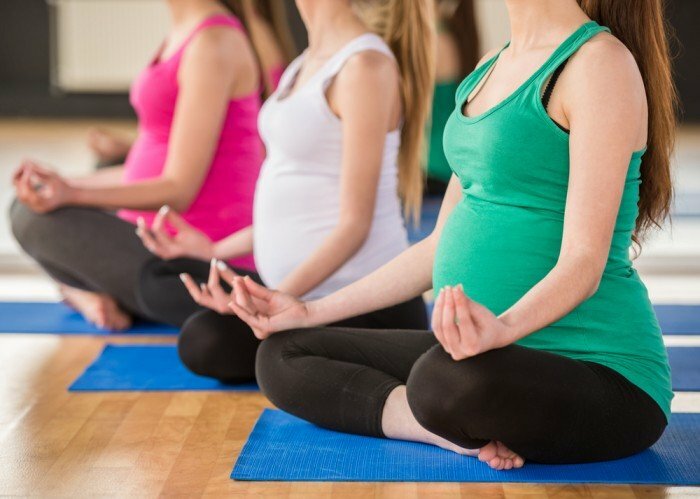 Post-natal yoga in Dubai for women doesn’t need to take up too much time and can be a great way to get your body back in shape and provide some peace and tranquility for the mind as well as helping you to focus. Regular yoga practice helps build a strong positive mental attitude too. Detoxification and movement of fluid. Stimulates cell growth and repairs. It strengthens pelvic, abdominal and back muscles. Post-natal yoga relieves stiffness in the body. Complete exercise for the body and mind. Routine yoga exercise may prevent postpartum depression. As a yoga specialist in the UAE what poses do you recommend for post-natal ladies and how do these individual poses help? Yoga can be started in as little as one month after delivery of baby. Postures like Tadasana, Thiryanmukha tadasana, Trikonasana, Parshvakonasana, Veerabhadrasana 1 and 2, Pavanamuktasana, Shalabhasana, Vajrasana, Purvottanasana, Supta vajrasana, Jaanushirshasana, Vakrasana, Bharadwajasana,marjalasana, uttanapadasana, jataraparivarthsana etc can be practiced. After 3 months basic sun salutation and other postures can be practiced. One can gradually increase the intensity of yoga practice as you feel able to but do not experience any pain or discomfort. A professional yoga teacher in Dubai can of course provide information on when and how to increase your yoga practice. For specific post-natal – all the yoga postures help to reduce sagging skin around the abdomen, hatha yoga will also improve overall blood circulation. There are many other benefits to post-natal yoga including making the spine more subtle which in turn can help with the problems of back pain and pregnancy. Yoga also reduces leg cramps and swelling, helps with irregular bowel movements and of course provides more energy. Are there any yoga poses that I should ‘avoid’ for a while after giving birth? When you are pregnant your body goes through many different changes. After giving birth the body will eventually balance out these changes but this is a process that takes time. With this in mind there are many yoga postures that should be avoided for a number of reasons. These include Mayurasana, Chakrasana, Dhanurasana, Shirshasana, Purna Bhujanagasana. I want to get my flat tummy back after pregnancy, how often do you recommend I practice yoga per week in order to achieve quick results? To get quick results it’s better to practice yoga everyday. Sometimes being a new mother is hectic but if possible try and set yourself a goal of one hour yoga practice per day. I suffered from severe back pain during pregnancy and still do even after giving birth, how can yoga help me to alleviate and strengthen my back muscles postpartum? For expectant mothers who could not do yoga during the pre-natal stage they can practice post-natal yoga to overcome health problems. Post-natal yoga postures and breathing techniques will help to alleviate and strengthen back and pelvic muscles. It eases pressure on the nervous system and helps to build up strength in the spine. Many yoga postures provide rest and instant relaxation and help to re-align and strengthen the core muscles. 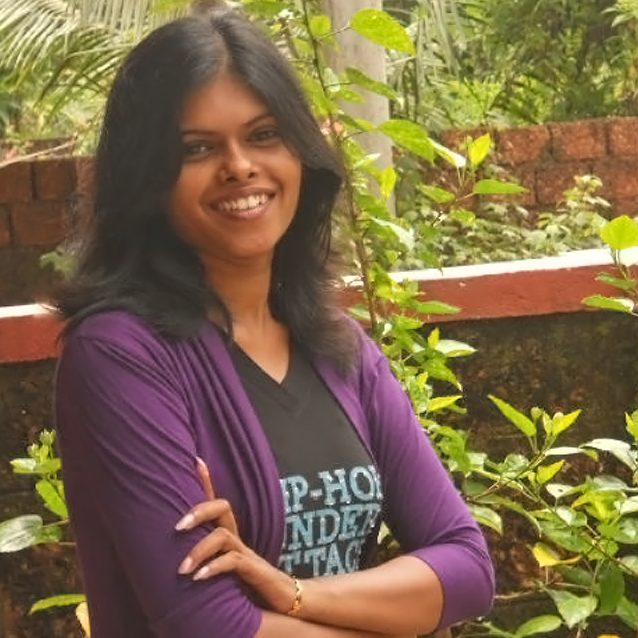 Hema is a yoga specialist, not just in the physical practice of yoga but also the science and history of yoga. Trained in yogic sciences in India Hema now provides a knowledgeable and experiences personal yoga training service to corporate and private clients throughout Dubai. You can view Hema’s full Dubai fitness personal trainer profile by clicking the link below.